Here I hope to provide a wealth of information to anyone wishing to improve their wine knowledge, participate in Sommelier competitions or enter the Court of Master Sommeliers wine courses with the ultimate aim of passing the Master Sommelier exam. These are a selection of notes, examples of question papers and advice that I have collected over time with help from friends and colleagues. Plus there is a collection of articles and tasting notes that I hope you will find of interest. This website will be developed over time to include a selection of wines to buy and a wine/Sommeliers forum, so keep coming back to see how it progresses. A collection of articles, updated regularly, that include notes on tasting events, restaurant reviews, book reviews, general wine news, wine trips or magazine articles. This is a collection of tasting notes from some of the worlds greatest wines that I've had the privilege to taste. It is an ongoing library that will grow over time. 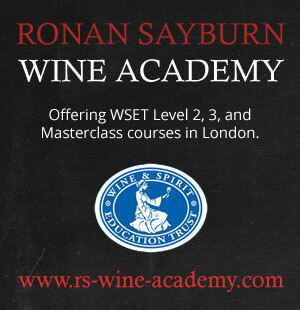 A selection of example exam and test papers, structured tasting plans, viticulture and vinification notes, vintage charts, plus cigar and spirits information. Links to the website, a list of current Masters plus unofficial example tasting grids for the Certified exam. Watch a collection of interesting, funny, and informative videos on wine and wine production. I also feature interviews and some of my television appearances. I have been involved in the wine and restaurant business for over 20 years, have worked with talented chefs and been fortunate to have managed many wine lists & cellars. Beautiful maps of the vineyards of Burgundy – a great site.